When you crouch down behind the ball or stand up and walk around the Putt, what are you really looking at? Do you have a process to read the green? Does your local knowledge suffice? On average, Tour Professionals are making 14% of Putts from 20 feet. Science tells us that they could be doing better. For them, it’s all about the money. 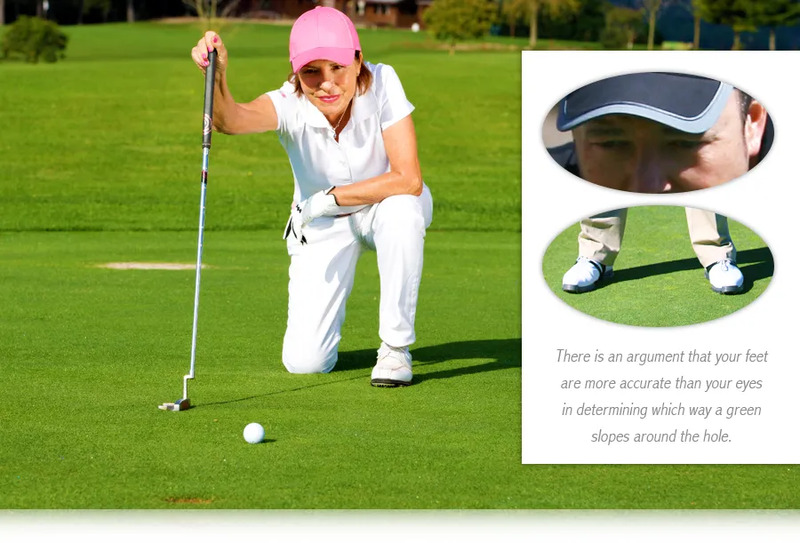 For you, improving your ratio is about experiencing the thrill of sinking that Putt more often. What’s your success rate from 20 feet out on the course? When you miss, what percentage is down to: a poorly-fitting Putter; poor technique; a bad read? You can be a great Putter.